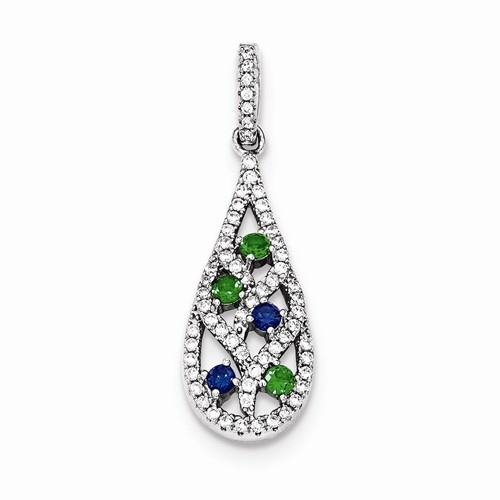 Diamond Essence Designer Tear Drop Pendant, with Emerald Essence and Sapphire Essence Round stones and Brilliant Melee set in prong setting. 1.10 Cts.T.W. in Platinum Plated Sterling Silver.